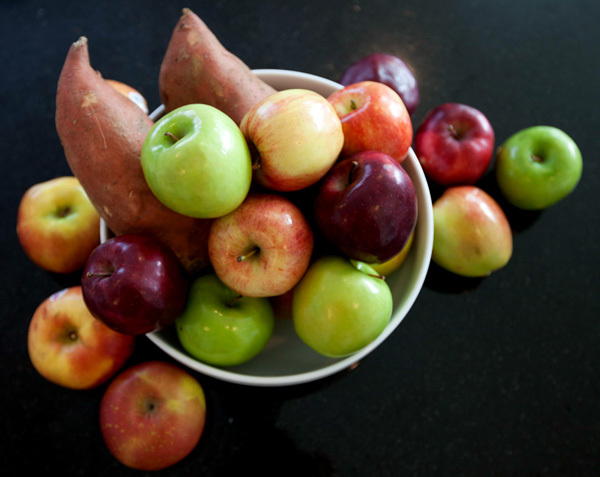 While the sweet potatoes were pretty straight forward we got a wide variety of apples to see what would work the best. 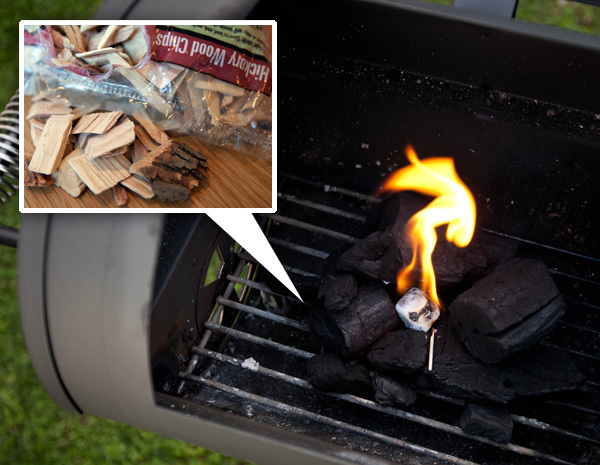 A little charcoal, a little hickory, one fire starter cube… and we we’re good to go! 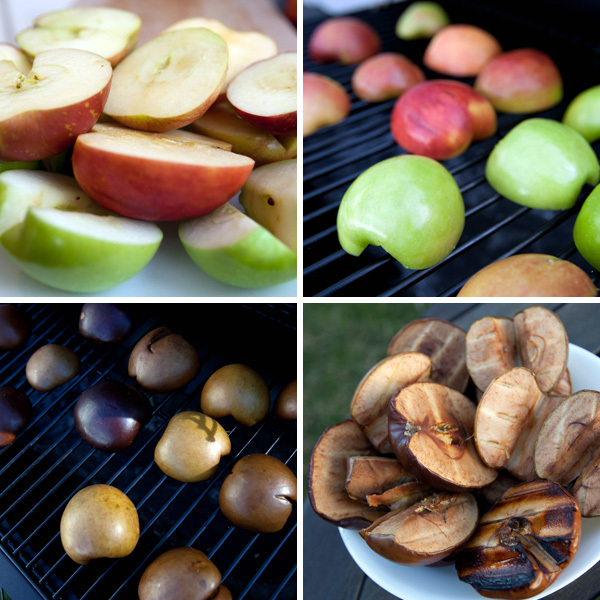 The smoker works its magic by softening up the apples and giving them all a deep smokey flavor. The sweeter apples, like Fuji and Braeburn, seemed to take to the smoke the best. 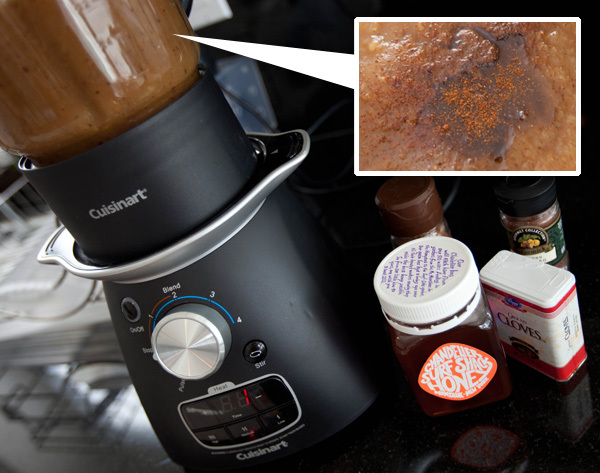 The Cuisnart soup maker is equally happy making apple sauce. We blended up our batch with a little Chandelier Creative Montauk Surf Shack honey and some spices. 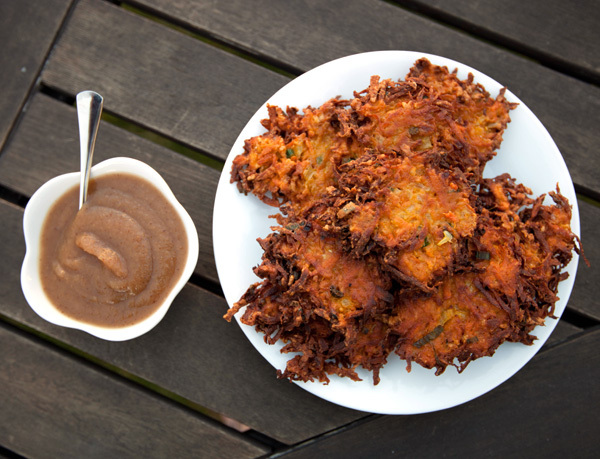 Next up… latkes! 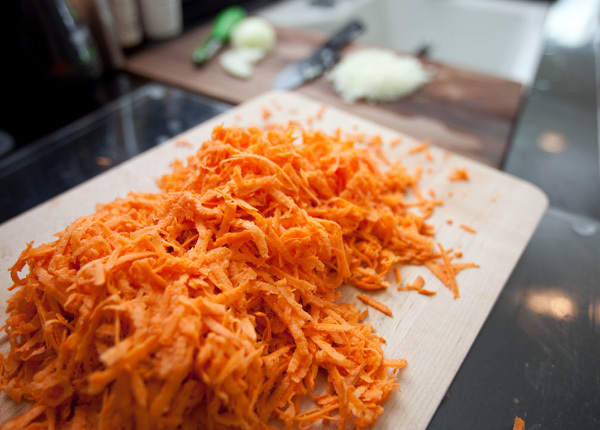 The key is to avoid grating your knuckles along with the sweet potatoes. 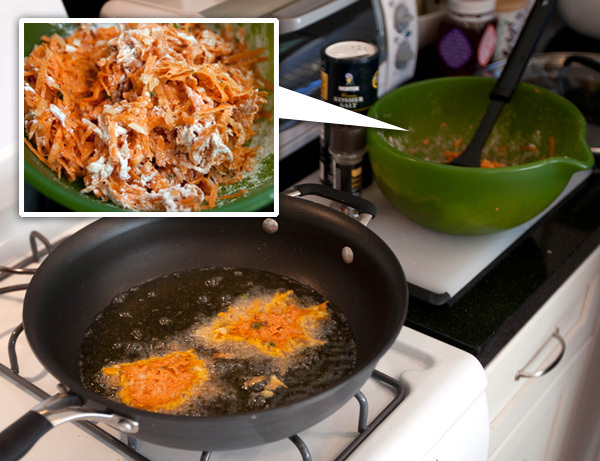 Eggs and flour help it all clump together and then they get squished down into the oil to fry. Two worlds collide into deliciousness. They are enjoyed best with a little dollop of apple sauce on top. 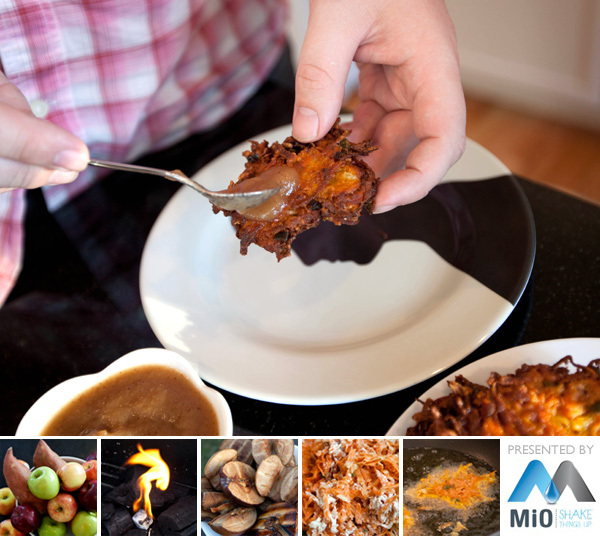 In the end we have a dish that smells like a bbq and somehow reminds you of Hanukkah. 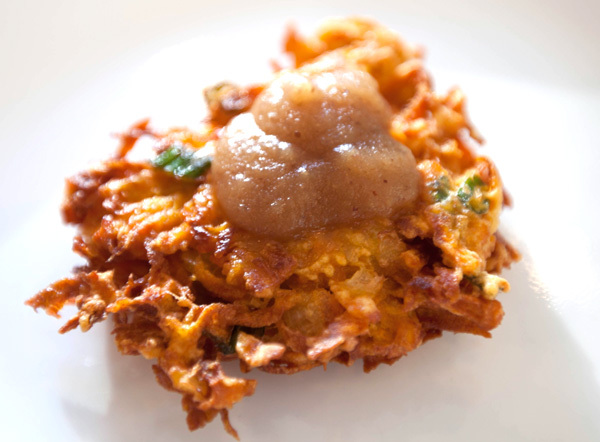 It’s smokey, slightly sweet, sort of like candied yams, definitely a latke, a twist on your expectations, and very tasty. Yum, smoked applesauce! I have made roasted applesauce but this puts a whole new spin on things! great post! Thanks.